For many years now young Asians have been coming to Taizé, and the “pilgrimage of trust” has brought together young people for gatherings in various Asian countries. Some brothers of our community are living in Bangladesh and South Korea. Other brothers make regular visits to the continent. In Myanmar, there is great hope for a movement towards democracy. Some Christians are taking part in an “education for democracy” in order to prepare the future. “We need development and education,” said one young man. Another replied: “What we need above all is kindness.” Ethnic diversity is an asset for this beautiful country. But several groups and communities are experiencing conflicts that seem insurmountable, although efforts are being made to find acceptable solutions. Natural resources are plentiful, but the local people do not benefit from them. A question for all: What can we do to strengthen democracy in our own countries? A question for all: What gives meaning and direction to my life, beyond material prosperity? From there, one of my brothers and I flew to North Korea. The cold war continues dangerously in that part of the world. The division between South and North Korea remains a deep wound for countless people on both sides. Our ties with North Korea go back to 1997, when a terrible famine caused many deaths. At that time, Brother Roger took the initiative to send a thousand tons of food. Then, through “Operation Hope” we started supporting hospitals. We organized training courses in Europe for some North Korean doctors. A brother visited the country several times. Valuable human contacts were created. Today the needs are great. The country is extremely isolated. In Pyongyang we were greeted by representatives of the North Korean Red Cross. I told them: “Taizé is not an NGO but a religious community. Even more than material assistance, what matters for us are personal encounters.” We insisted on going to churches, even if they are closed during the week. 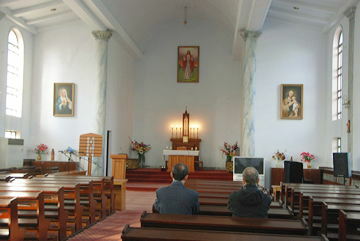 In the only Catholic church in Pyongyang, we were greeted by a lay leader (there is no priest), in one of the two Protestant churches by pastors, and in the Russian Orthodox church by one of the two priests. We prayed in those churches in silence. This silence took on a very powerful significance. Could we have gone to that country above all to share the silence? A question for all: What situations of isolation, close at hand or far away, can I make less harsh by visits? 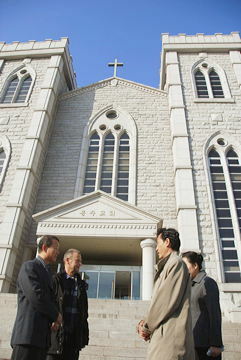 In Busan, South Korea, we participated in the general assembly of the World Council of Churches. Beautiful and profound times of sharing among Christians of many different denominations could not uproot from my heart the question: Why do we remain separated? A question for all: Is it possible to create more links in my country between Christians of the old historical Churches and Christians belonging to new Churches---Evangelical, Pentecostal, etc.? The last stage of the pilgrimage took me to India. 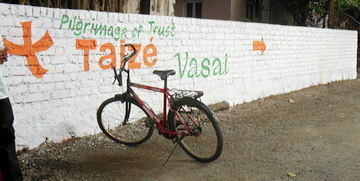 First to Vasai, a town on an island near Mumbai where 5,500 young people gathered. To reach the place where the gathering was held we had to go on foot the last part of the way. What a surprise to enter on the way there the home of a Hindu family, in front of which was written “welcome’ . A young Christian told me: “In our religious festivals we show our mutual respect by sharing food and helping with practical tasks.” Many residents of the island are fishermen. They go out to sea in small boats for a week or ten days, wondering each time whether they will return; last year one boat did not return. Before setting out, whether they are Christian or even Hindu, they go to church to receive a blessing. A question for all: How can I express my respect for believers of other religions, and thus show that religion is a leaven of peace and not of violence? 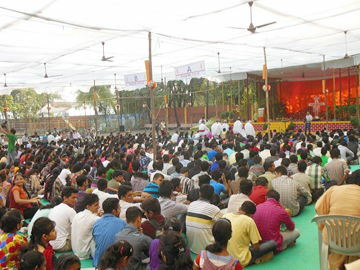 In Mumbai, young people had prepared an outdoor prayer which brought together 3,000 people. Archbishop Oswald Gracias told us that the city has nearly 19 million inhabitants but, despite rapid development, half of them live in extreme poverty. 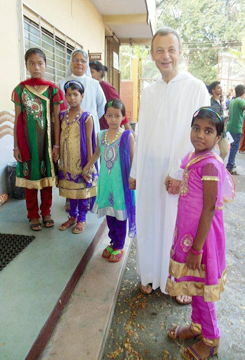 At Dharavi, the largest of the poor districts, we were warmly welcomed by the priest. Guided by young people, we visited families. Even living from hand to mouth, people find ways of working to survive. Christians form small communities in order to pray together and support each other. Such creativity! Young people gathered for a spontaneous prayer. What will the future of this city be? 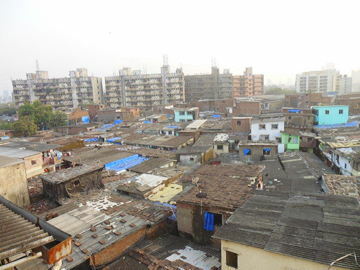 It is growing exponentially; at certain times traffic paralyzes life; urban planning is not able to meet the challenge. A question for all: In my own city or region, do I know people or initiatives that are striving to promote a better life together? Can I support them? In these Asian countries so different from one another, Christians are often a minority, but they want to be “salt of the earth.” Sometimes in a very hidden way they offer hope for the societies in which they live. Feeling a deep unity with them, we want to celebrate and deepen the communion between all those who love Christ..